Sweeteners Commonly used: Sugar, honey, maple syrup, artificial and other sweetener alternatives – you will benefit from my research classifying what sweeteners to never use, seldom use, what is better and what is best. Something to think about: You would have to eat 3 feet of the sugar cane plant to equal just 1 teaspoon of our refined, regular white table sugar - aka “white death”! SUGAR – Why do we eat so much? 100 years ago – only 6 pounds of sugar per person per year. Now – 150 pounds of sugar per person per year. Dopamine – neurotransmitter, releases chemicals that allow us to feel pleasure (e.g. endorphins). Seratonin – binging on sweets, starches or carbohydrates would raise serotonin and produce a feeling of well-being, but then drops you down. Seratonin – Sunshine and exercise stimulate production of serotonin, a brain hormone that creates a feeling of well-being. Sugar Cane – if you were to eat the sugar cane from the field, it would take 3 FEET of sugar cane to equal 1 teaspoon of sugar. Also, with the sugar cane, you are receiving vitamins and minerals naturally occurring which help you assimilate the sugar into your body. Sugar gives you a spike in energy, but then drops you down low. The human body requires carbohydrates to equal only about 2 teaspoons of sugar in the blood at any one time. Complex carbs (starches) – include vegetables, fruits, legumes and grains. Why Should we Stop Sugar Cravings? Foods that raise blood sugar quickly trigger the release of the hormone Insulin. Excessive releases of insulin and, more specifically, chronically high blood sugar and insulin levels are linked to Metabolic Syndrome (also called Syndrome X), which is a complex of health disorders. Associated ailments include insulin resistance and type II diabetes, abdominal weight gain and obesity, problems with blood lipids (raised triglycerides and cholesterol) and high blood pressure. 1. Fruit Juice Concentrates – Lacks fibers that slow digestion and smooth out blood-sugar lows and highs. Also, fruits are sprayed heavily with pesticides, which become concentrated when made into juice – and even more so in juice concentrates. 2. Honey – Not appropriate for diabetics. Honey affects the blood sugar in the same way as refined sugar. Commercial Honey – because honeybees have been infested with 2 destructive mites (tracheal mites and varroa mites) – almost all North American beekeepers must treat their hives with pesticides. Try to get organic honey. Manuka Honey from New Zealand is known for healing properties. 3. Maple Syrup – only use 100% pure. Does have some mineral content. 1. Fresh Fruit - good, because of fibre & vitamins & minerals content. Also freshly squeezed fruit juices (though in moderation). 2. Dried Fruit – better not to have too much However, they do have fiber, so that slows the release of glucose into the blood and helps the bowels. 3. Black Molasses – releases serotonin in the brain, which contributes to a sense of well-being and reduces sugar cravings. It is a herbal extract from the Stevia Rebaudiana leaf and has been shown to regulate blood sugar and blood pressure. Let’s Balance That Blood Sugar! The real problem is that ingestion of too much sugar, or any simple carbohydrate, creates an insulin rush that overworks the insulin receptors. 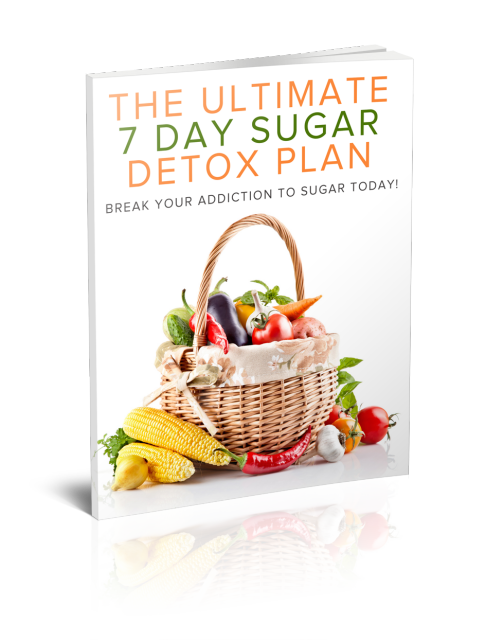 Over a period of time, the body’s ability to handle all sugars, and even most grain carbohydrates, begins to weaken. This can ultimately lead to various disorders of the pancreas. BEST OF ALL – VIRTUALLY NO CALORIES!